Includes a useful worksheet - scroll down to download it! What would the New Year bring and how different would it be to what you have experienced this year? Would it even be that much different to 2018? 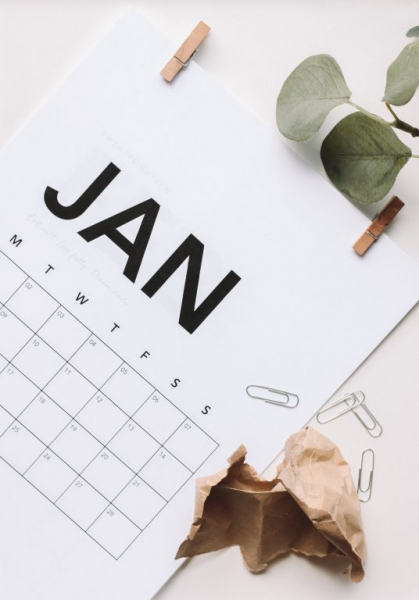 Whether it changes for the better or the worse, you can take the reins and steer 2019 into a bigger year for yourself by doing a simple end of year review. It’s useful and often eye-opening to take a look at yourself and assess all the things you have attempted and accomplished throughout the year to see which ones hit the mark - and which ones missed it. The following is a list of questions as a start to aid you in your self-evaluation and guide you towards forming possible solutions for them. As painful as it is, instead of ignoring the elephant in the room, it’s better to rip off the band-aid, come to terms with some of your disappointments this year and lay them all out in order so you can appraise them one by one. This will help you determine potential areas for improvement. ● What was your biggest failure this year? ● Were there any individual objectives set at the end of 2017 or the beginning of 2018 that did not live up to your expectations? ● Were there any organisational goals that were not met? ● Did you and/or your brand make any investments this year that did not yield any return? ● Were there any moments of crisis for your organisation that you had to work on together to solve? If so, how did you handle that situation and what would you do differently in the future? ● Are there any skills you lack that you feel you need to brush up on? However, while it’s good to be critical of yourself, that doesn’t mean you should ignore all the positive results you have attained too. It’s important to acknowledge them not just as a source of encouragement but also as little reminders of your strengths and successes that you shouldn’t be complacent about. So let’s celebrate your victories, both big and small! ● What was your biggest accomplishment this year? ● What individual expectations of yours were met? ● What organisational goals were you able to achieve? ● What was the biggest challenge you had to face this year that you succeeded in overcoming? How did you do it? ● Have you expanded your network of clients, partnerships and relationships? If so, which ones are the most meaningful to you and why? Your annual review shouldn’t just address your professional feats, as life doesn’t only revolve around work. Your wellbeing and personal growth matter too. Searching for the root of your happiness and regrets helps you figure out what aspects of yourself you need to either maintain or work harder on. ● How has the year been for you overall? Do you think you have made the best of it? ● Have you changed in any way this year and are you happy about it? ● How would you rate yourself this year and why? Now that we’ve crossed the first bridge aka self-assessment, the next step is to plan out how you want to solve them and come out on the other side a newer and better you. It is time to list down some New Year’s resolutions (and stick to them)! ● What do you hope to spend better time on moving forward? ● What are the main goals that you had set for this year but weren’t able to achieve that you want to carry forward to 2019? ● What are some new objectives that you wish to set for the New Year? The HSAUK created a worksheet to help you review the year behind you and plan a successful 2019 - you can download it here. Here is to a great 2019, filled with accomplishments and success!